Brad Pitt’s cars have been spotted parked on the driveway of estranged wife Angelina Jolie’s home - adding fuel to the rumours the pair are going to cancel their divorce. Passers by (or rather, aerial photographs) have noted Brad’s black Tesla Model S car has been parked outside his 42-year-old wife ’s house. It has also been noted that the 53-year-old Fight Club star ’s grey coloured sports Tesla has also been parked outside Ange’s Hollywood home. 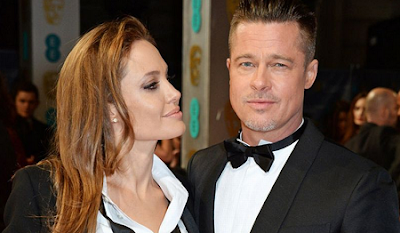 The acting world was rocked last August when it was revealed Brad and Ange had split following a series of explosive arguments. We know many of their fans can't wait for them to reconcile.